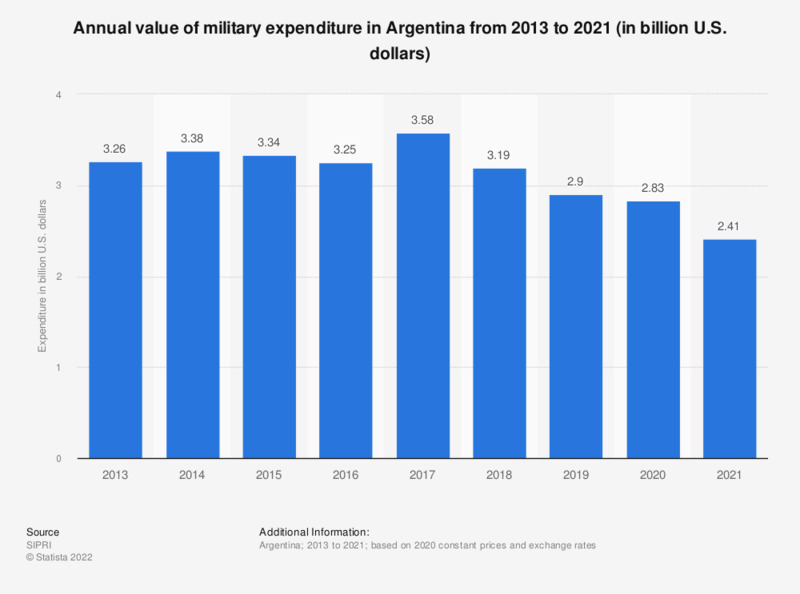 The statistic shows the annual value of military expenditure of Argentina from 2013 to 2017. In 2017, the Argentinian government spent nearly 5.2 billion U.S. dollars in the military sector, up from 4.5 billion dollars a year earlier. The source informs that data remains uncertain due to unreliable inflation figures.